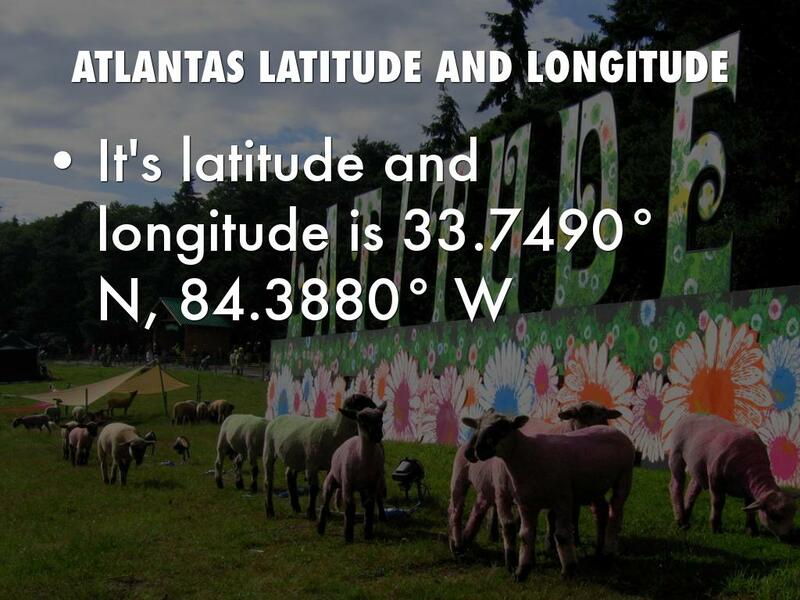 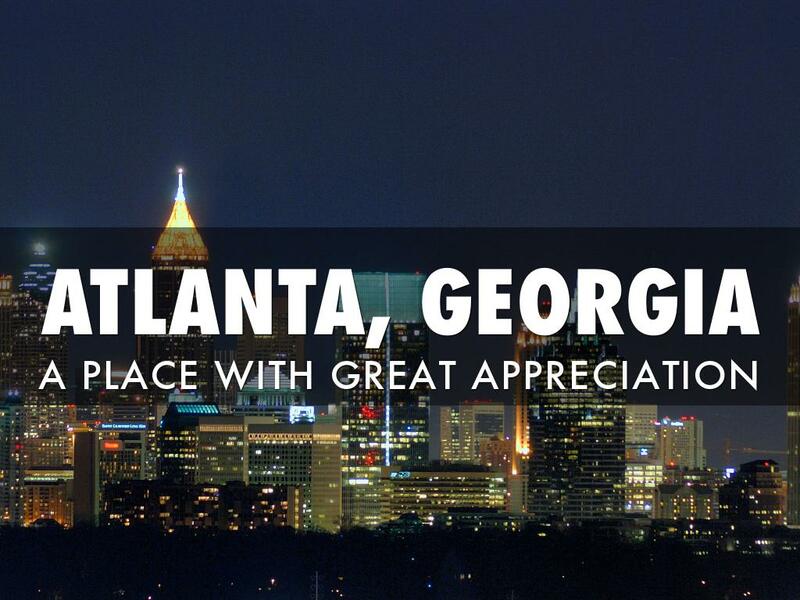 Atlanta Georgia's average temperature is 61°. 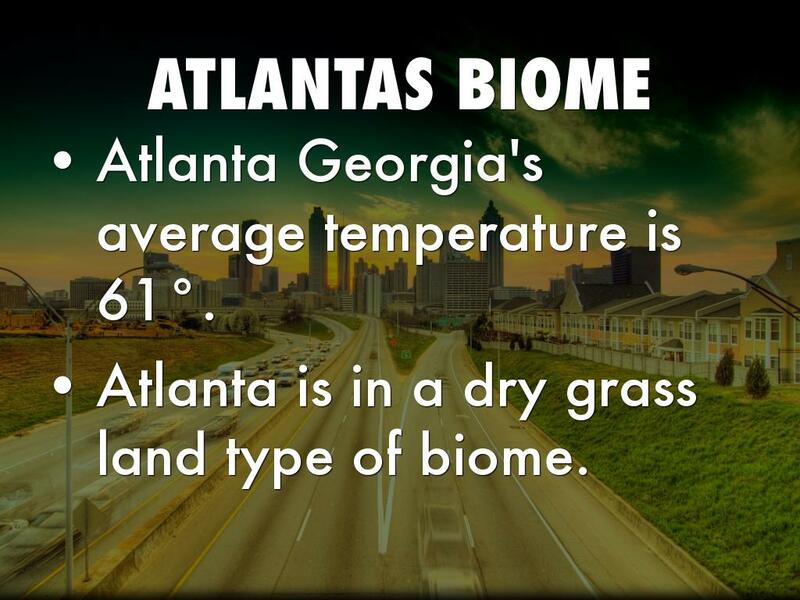 Atlanta is in a dry grass land type of biome. 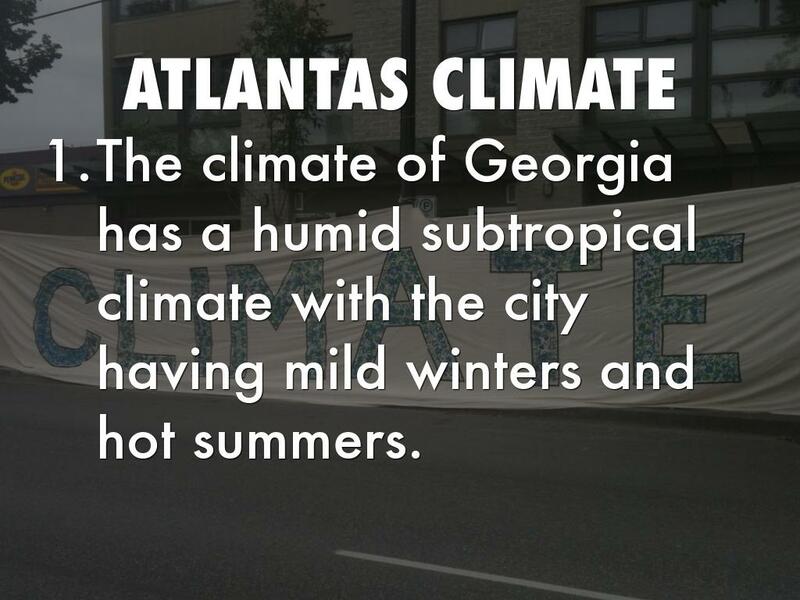 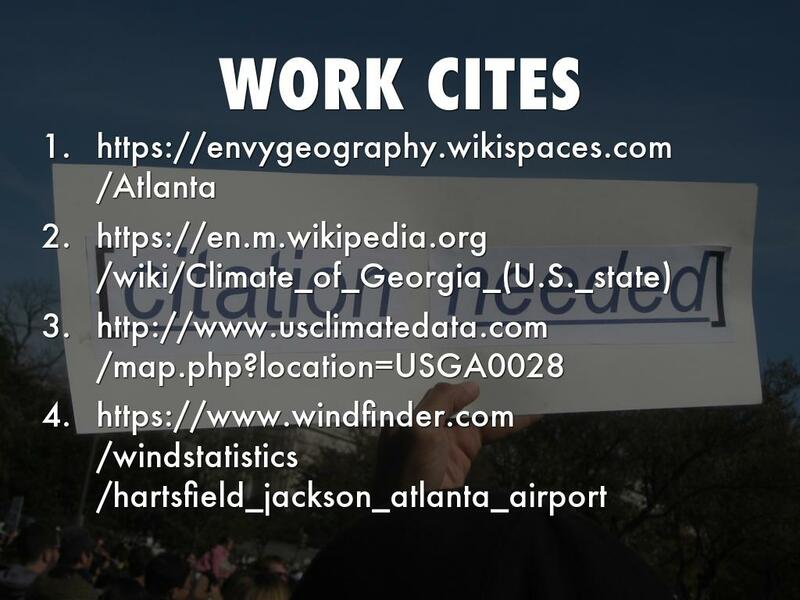 The climate of Georgia has a humid subtropical climate with the city having mild winters and hot summers. 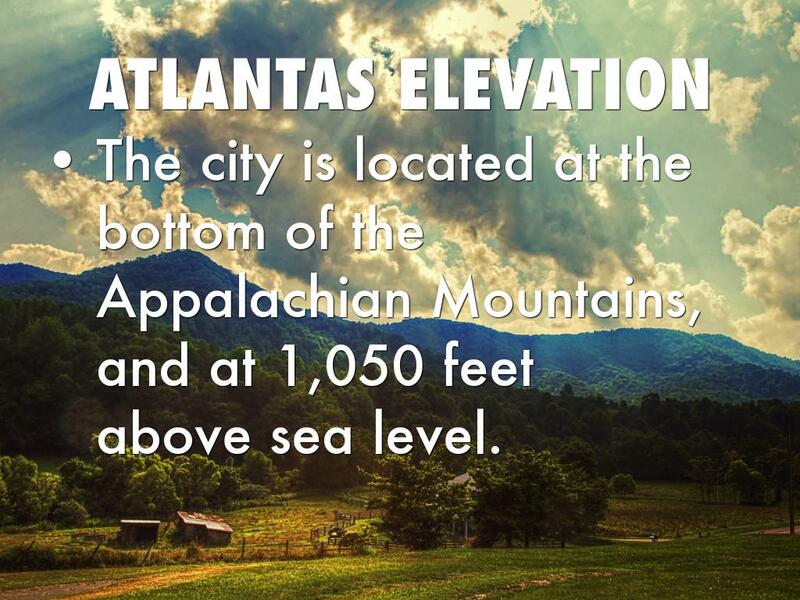 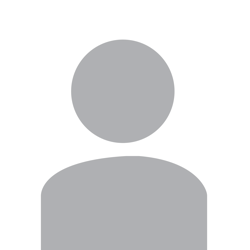 The city is located at the bottom of the Appalachian Mountains, and at 1,050 feet above sea level. 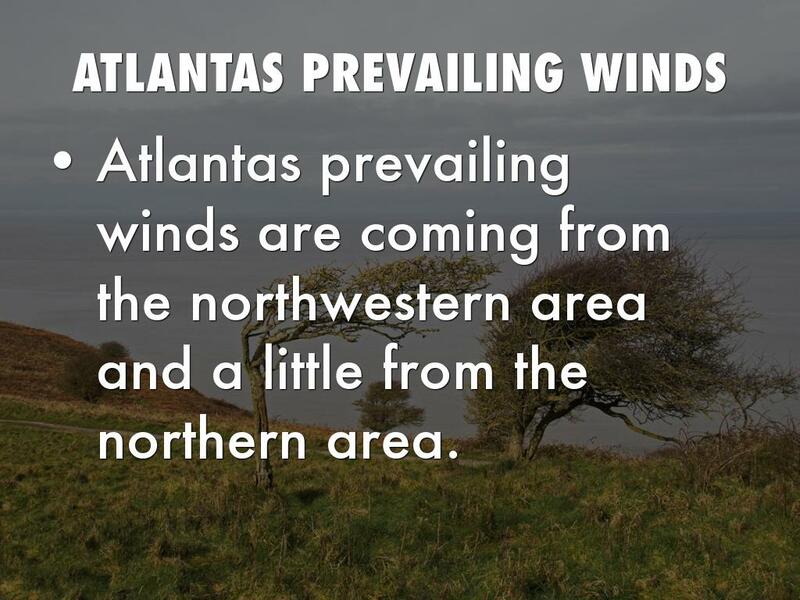 Atlantas prevailing winds are coming from the northwestern area and a little from the northern area. 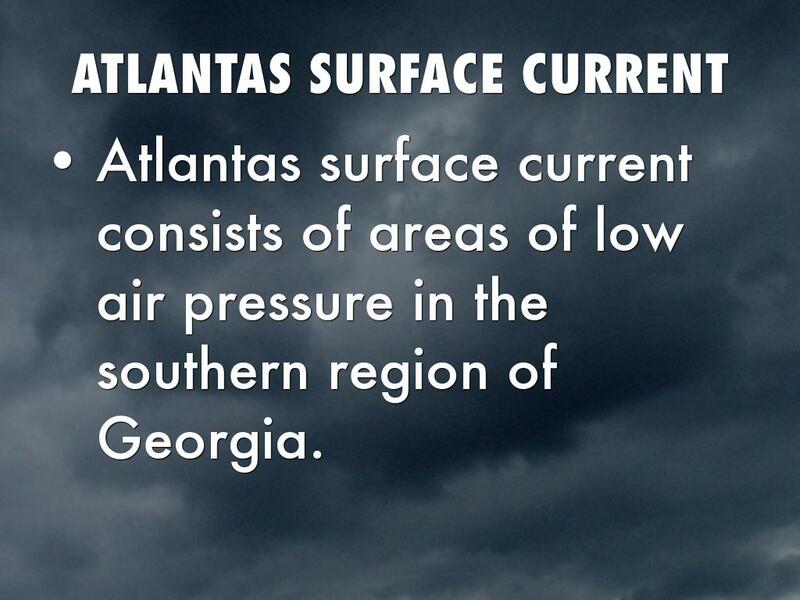 Atlantas surface current consists of areas of low air pressure in the southern region of Georgia. 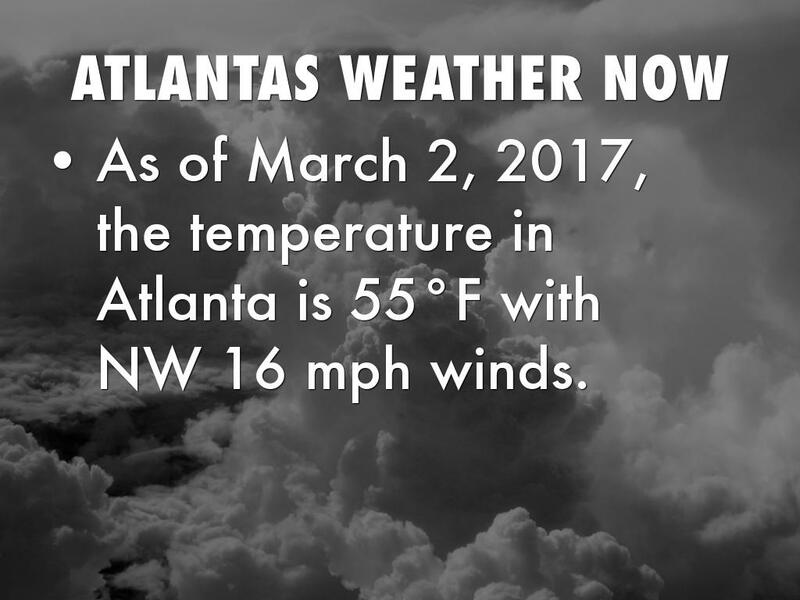 As of March 2, 2017, the temperature in Atlanta is 55°F with NW 16 mph winds.